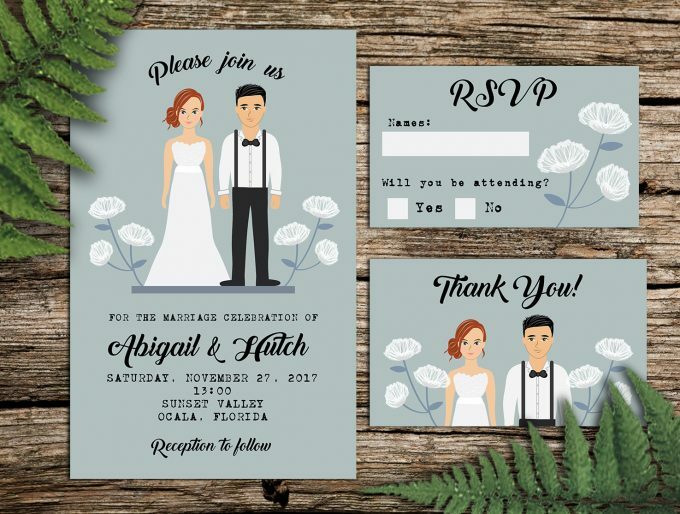 Custom illustration expert, Monique of Save The Forest, can turn your family portrait into a keepsake illustration-style wedding invitation. You can even include pets, like this couple did with their dog — they’re family, too! 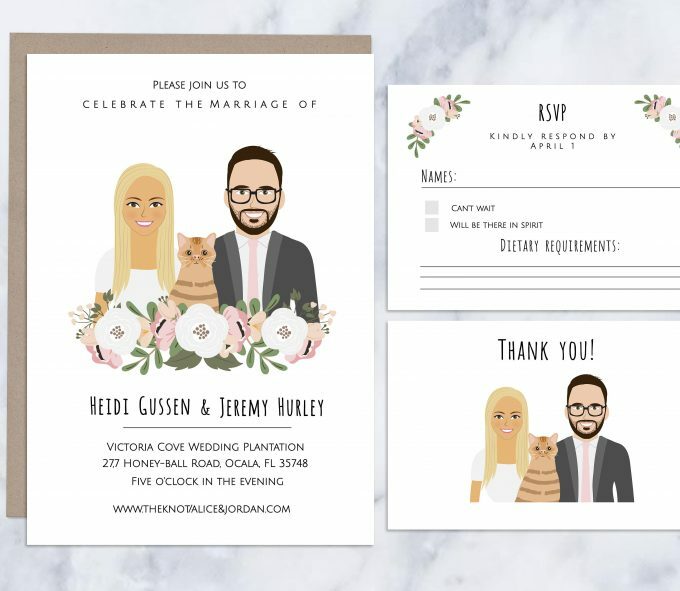 Here are a few additional examples she has designed for recently wed couples. 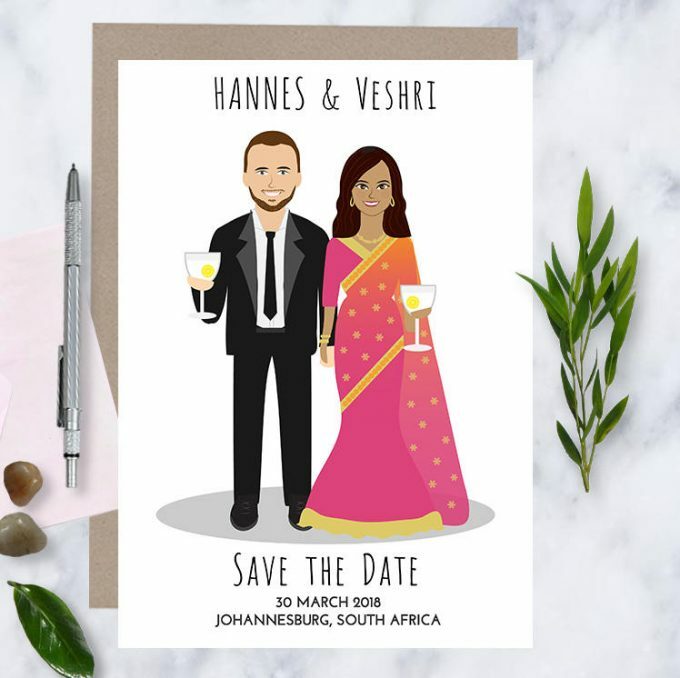 We especially love how these illustrated wedding invitations can be designed into other wedding paper goods, from save the dates to guest book prints. 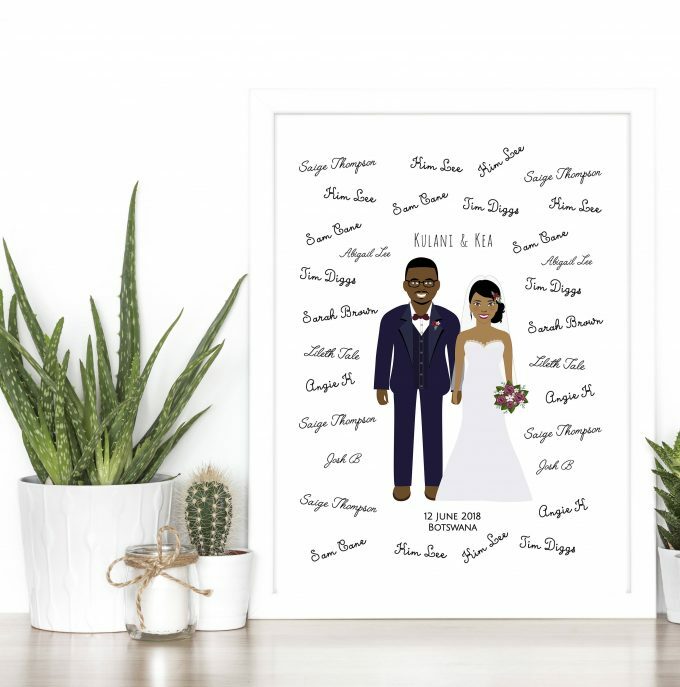 Here’s an example of how your illustration will look as a guest book poster your guests can sign and you can frame as wall art. 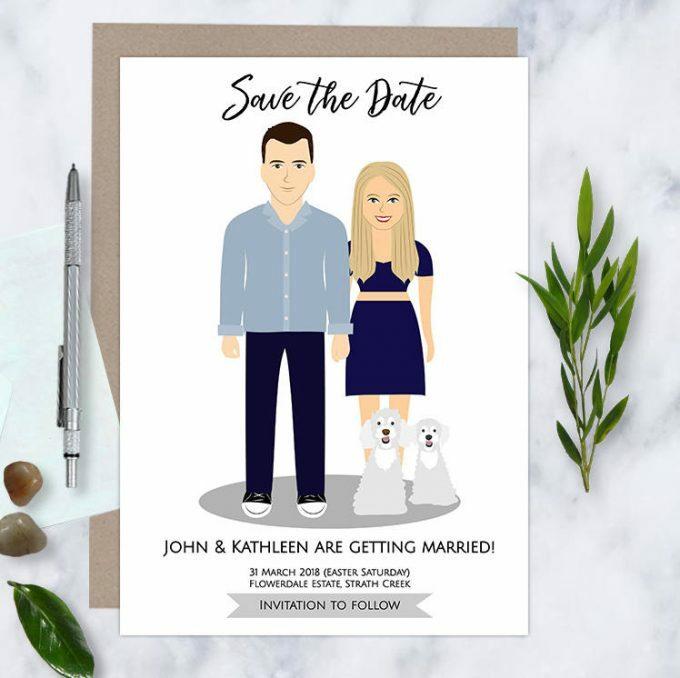 Speaking of save the dates… here are some examples, as well. 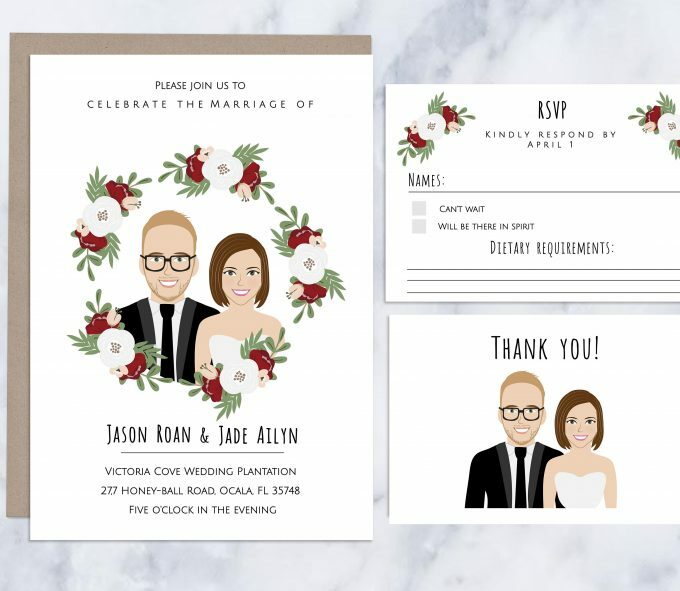 Buy hand-illustrated wedding invitations here! 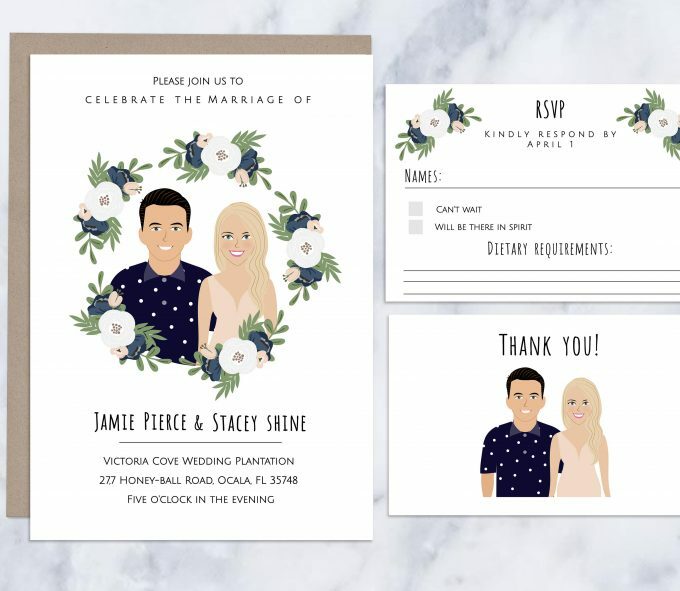 You can CLICK HERE to shop these wedding invitations and more. We are proud to include Save The Forest as a Featured Artisan at Emmaline Bride in The Marketplace. 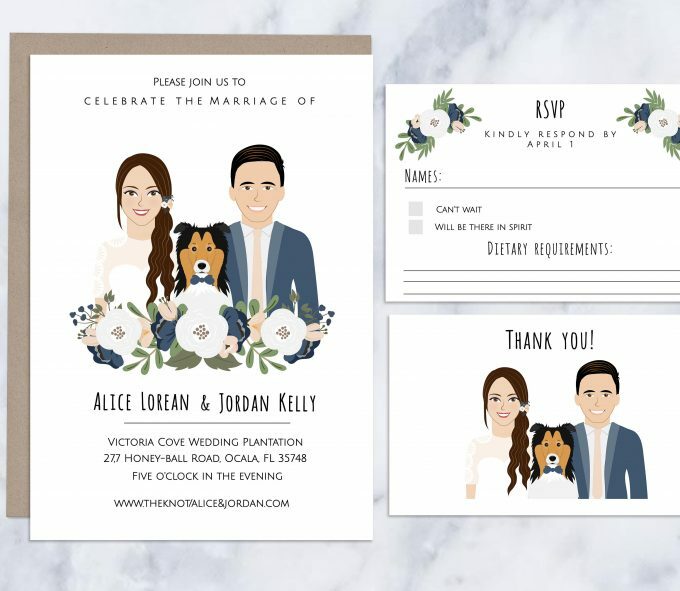 Now it’s YOUR turn: which of these illustrated wedding invitations is your favorite?